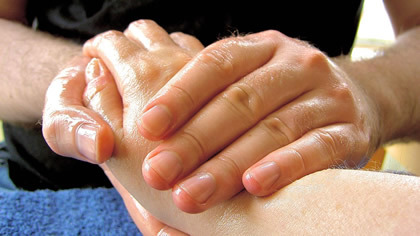 Massage therapy is one of the most important techniques of complementary and alternative medicine. Every time you visit Amber Tiger in Anchorage, we will ask you about your needs and personalize a massage therapy just for you. We may incorporate a number of modalities suited to your needs on that day. Sports massage is used as a preventive medicine for many athletes before, during and after sporting events. A combination of techniques before an athletic event can prepare the athlete for increased performance. Sports massage can keep your muscles loosened and warmed up to reduce injuries. Massage can make the training and body building experience much more effective and rids the body of stress, reduces fatigue and removes toxins and byproducts the body produces in strenuous activity. Studies suggest that Breast Massage can improve the breast shape and size. The breast is made up of fatty tissue, glands and lymphatic ducts and nodes. Breast massage involves kneading, rubbing and light pressing of the tissue to help increase circulation as well as benefit the breast that has had surgery and contains scar tissue. This practice can save a life by detecting lumps that may be related to cancer. Release of toxins, opening and balancing the fascia and release of ligaments and tendons are all taken into consideration when using this technique. Deep slow strokes using the hands, palms, fingers and elbow can cause some tenderness and soreness the day following a massage. Nancy Arrington, the owner, is an experienced and certified massage therapist. Her private practice includes a wide variety of professionals who rely on my skills to achieve and maintain physical comfort. Each session is individually designed for the benefit of the client.